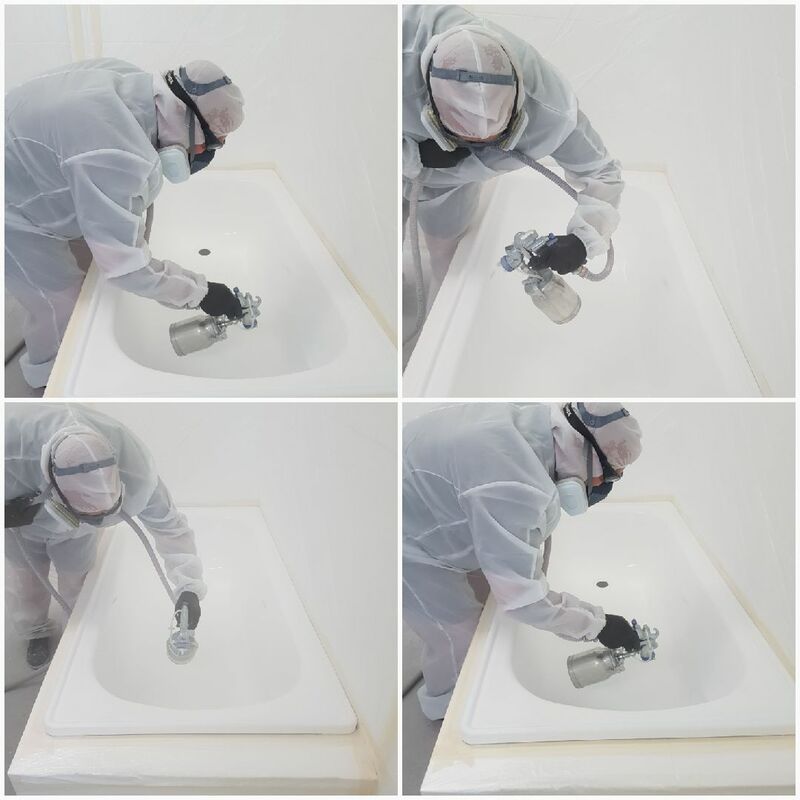 Bathroom resurfacing is an alternative to completely replacing your bathroom, resurfacing can make your tiles, bathtub and vanity look like new again. This technique is a high-quality professional finish that will add value to your home. A cost efficient solution to all your bathroom problems. A long-lasting baked-on surface using the latest technology. So don’t rip out your bathroom, Resurface It! By resurfacing you save time and ultimately money. Tile & Concrete Resurfacing is an Affordable, Durable and Practical Alternative to Removal and Replacement of your floor. Resurfacing is a much better option to replacing ceramic tile or concrete. It is not only more practical, but also less expensive than new tile or old concrete and you avoid the mess and dust of removal and replacement. Total Resurfacing Specialists technicians will also save you the hassle of having multiple tradespeople traipsing through your home for weeks on end not to mention the logistics of trying to organize tradespeople to be here on the day you need them. A complete floor Resurface makeover will usually be completed in 2-5 days. With dozens of beautiful colours and styles to choose from, you’ll have the look and feel you’ve dreamed of. It can be applied right over your dated and worn floor tiles or concrete. Total Resurfacing Specialists flooring Systems are Decorative, Durable, Hygienic and Easy to maintain when used as part of the TRS Seamless Flooring process. Inside and Outside options. Suitable for Residential and Commercial applications. TRS flooring resurfacing has become a desirable long-term flooring solution. A great alternative to tiles where grout can absorb unwanted contaminants, resurfacing is seamless and non-porous when installed as a full Total Resurfacing Specialists system. A number of additives can be added to the system ensuring Australian standards and slip resistance requirements are met where required. The kitchen is the heart of a home. It’s a central hub for a family it’s where you cook family dinners, pass on valuable life advice, or help your kids with homework. You might even gather with your relatives or close friends for a weekly game night! Total Resurfacing Specialists provide the most up to date innovative technique in resurfacing which is a cost-effective alternative to renovating saving up to 70% on remodelling cost which means more $$$ in your pocket for new appliances or a other Reno. Cabinet resurfacing allows you to keep the layout, but change the out dated look. Doors, drawer fronts and fixed panels do not always need replacing they can be resurfaced. While the structure of your cabinets remain, they will be resurfaced with high-quality material to provide the style you desire. Your cabinet doors and drawer fronts will match the resurfaced frames, giving your kitchen a brand-new look. Counter tops and tiled splash back already exist that accumulate wear and tear over time or may have phased out of fashion. Total Resurfacing Specialists can also, resurface your countertops and splash backs to match the resurfaced cabinetry. Whether your style is modern, classic, contemporary or somewhere in between, in high gloss, satin or matt with a wide range of colours available add different hardware and stylish door knob, the possibilities are endless! Countertop in stone look without the stone price or a custom designed counter top which will mesh perfectly with new resurfaced cabinets. There is a long list of benefits to cabinet resurfacing. The project takes just a few days, even better, the resurfaced cabinets look like they were just installed at a cost that’s much friendlier than your average remodel, but still can offer the convenience of a custom kitchen. While you can attempt a cabinet resurfacing project yourself, working with our hand-picked professionals brings a free design consultation, high-quality craftsmanship, and a kitchen you’ll love with little-to-no hassle. All installed by licensed professionals Resurfacing cabinets improves the look and feel of your home without a complete remodel and without all the down time. Traditional kitchen rebuilds typically involve the dusty, dirty demolition and removal along with the inconvenience of packing up and storing your kitchen equipment for the duration of the renovation. However, by choosing to resurface you can gain a great looking kitchen with minimal disruption to your everyday lifestyle. In most cases you can simply leave the contents of your cupboards right where they are. As a smarter way to update kitchens Total Resurfacing Specialists technicians will also save you the hassle of having multiple tradespeople traipsing through your home for weeks on end not to mention the logistics of trying to organize tradespeople to be here on the day you need them. 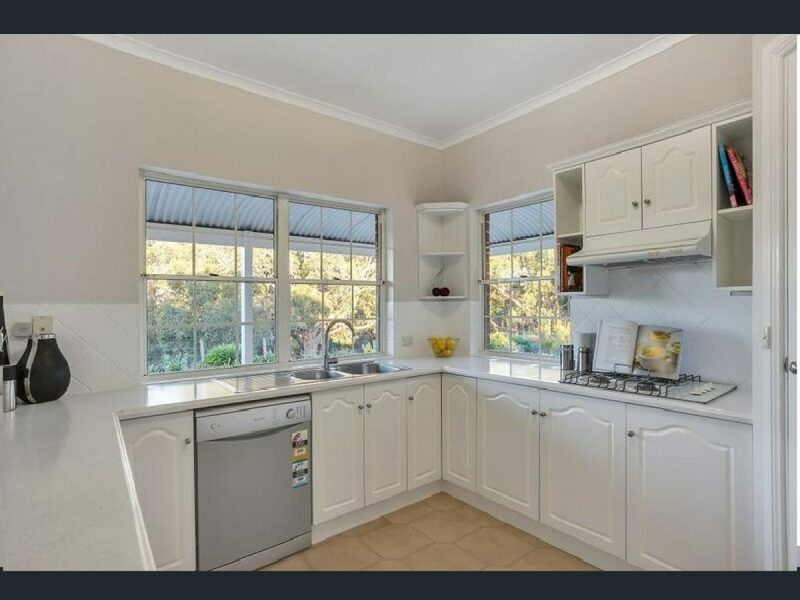 A complete kitchen Resurface makeover will usually be completed in 3-5 days. It has long been understood that the reuse and recycle of our old goods is a sure-fire way to minimize negative effects on the earth and reduce our contribution to landfill. Kitchen Resurfacing is a great way to reuse your old cabinetry and fittings and stop them being unnecessarily thrown away. Let’s be more environmentally conscious and consider your next renovation, we can take one more step closer to a green living lifestyle and a sustainable future. We need to think about how all our decisions effect our homes and the planet overall. We also use materials with a low VOC meaning they are environmentally friendly.